Join us Sunday, October 21st for the 9th annual KURE Fest at the Iowa State Memorial Union! Tickets are $12 for students and $20 for the public, for sale here. Brooklyn based Wet have returned with a new sound and a new outlook, one informed by lead singer and songwriter Kelly Zutrau taking creative control. From its first measure, their new single “There’s a Reason” shows how Wet’s new material departs from their more ethereal earlier work. “Reason” is a sauntering ballad that features Zutrau’s confident, sun-dappled vocals floating over fellow member Joe Valle’s meticulous arrangements, its chimes and strings underscoring the simple, yet powerful message conveyed in its lyrics. Zutrau wrote much of the band’s second album while on tour and while Valle produced much of the album, they also brought in producers such as John Hill (Portugal. The Man, Florence + The Machine), Rostam (Haim, Solange) and Andrew Sarlo (Big Thief) to round out the new sound. 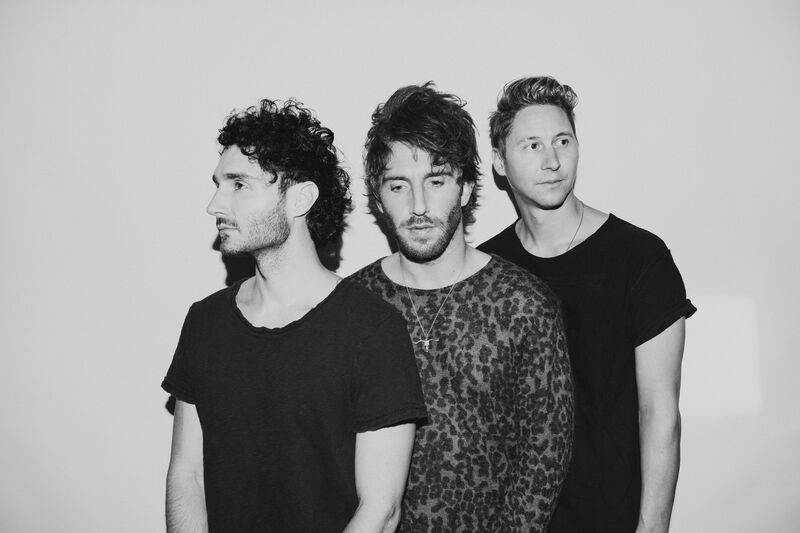 After bursting onto the scene with their 4 song self-titled EP, Smallpools has toured to all corners of North America supporting Twenty One Pilots, WALK THE MOON, Neon Trees, Grouplove, and Two Door Cinema Club, as well as playing both Lollapalooza and Firefly Festival. The release of their self-titled debut EP gained them critical acclaim and brought them their national TV debut on Jimmy Kimmel Live, performing their debut single “Dreaming” which was produced by Captain Cuts. You can hear watch the music video for “Dreaming” here, which has almost 9 million views, and counting. On March 20th, 2015, the band released their debut album, LOVETAP!. Receiving over 85 million Spotify streams, the band performed their second single “Karaoke” on Late Night with Seth Meyers followed by two successful North American headlining tours. In addition, “Dreaming” reached #1 in July 2015 at pop radio in Japan resulting in a sold out headlining show at Club Duo in Tokyo and a premier slot at Summer Sonic Festival. Last year, the band co-wrote the song “Break Up Every Night” on The Chainsmokers’ debut album, Memories… Do Not Open, which was released in April via Disrupter/Columbia Records. The song was performed on the duo’s Saturday Night Live debut on release day. The Fuss began as a solo project of singer, guitarist, and songwriter Joey Lyons; a Des Moines native; who had been writing and recording original music in a variety of capacities for several years before forming the band. In September of 2014, he independently produced and released an EP titled “One” under the name the Fuss, which was recognized by a French indie music blog, and noticed by local and regional touring bands through Joey’s BandCamp page. After receiving offers to open for local artists in early 2015, Joey enlisted Matt Nelson to join on bass guitar to help transition the existing songs to a live format, as well as to recruit additional members. 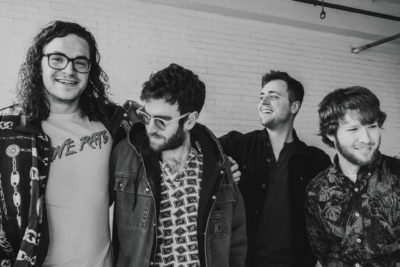 Over the course of 2015 and 2016, Joey and Matt worked to extend the lineup from a duo to a four piece, release a second EP, write and produce a full length album, and build a fan base in Des Moines, while receiving noteworthy acknowledgments from organizations such as the Des Moines Music Coalition and Iowa Music Project. Annalibera is a Des Moines-based band founded in 2010 by frontwoman Anna Gebhardt. They have used the words “inconsistent” and “That’s some crazy pop music” to describe the genre of their ever-changing sound. The band’s most recent release from earlier this year is called Opia.